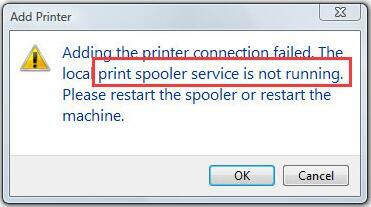 If you’re on Windows 7 or 10, and you’re seeing this error saying your print spooler isn’t running, you’re not alone. Many Windows users are reporting it. But the good news is you can fix it. This article gives you 5 solutions to try. 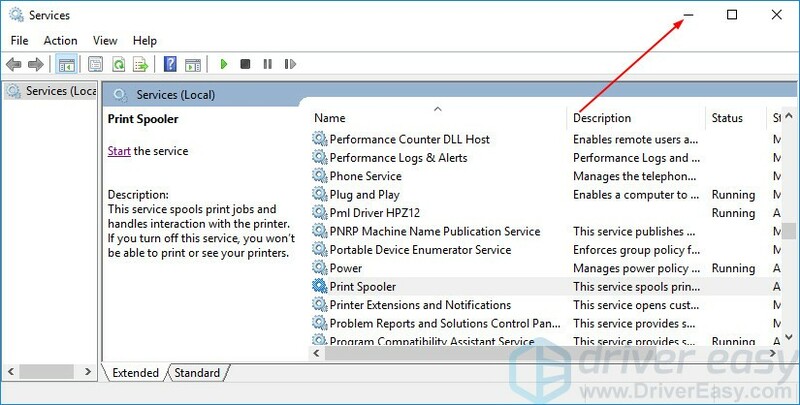 The print spooler is a Windows service that manages all the print jobs you send to your printer. If the service isn’t running, your printer won’t work. How do I fix print spooler keeps stopping? Here are 5 solutions you can try to fix this problem. You may not have to try them all; just work your way down the list until you find the one that works. 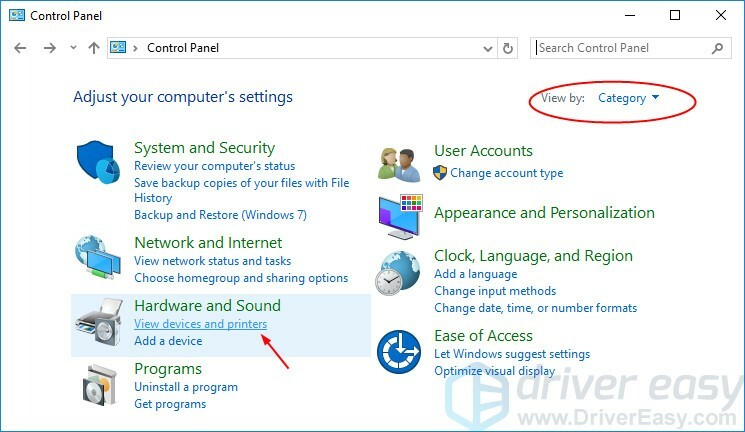 Note: The screens shown below are from Windows 10, but all the fixes also apply to Windows 7 too. 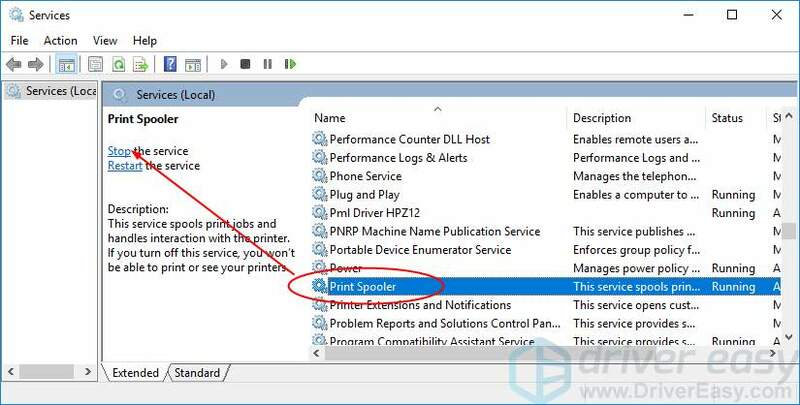 3) Click Print Spooler, then Restart. 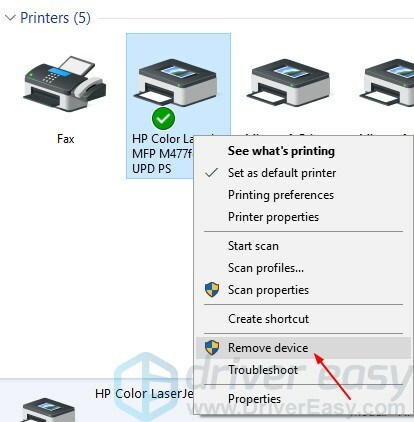 4) Check to see if your printer works. 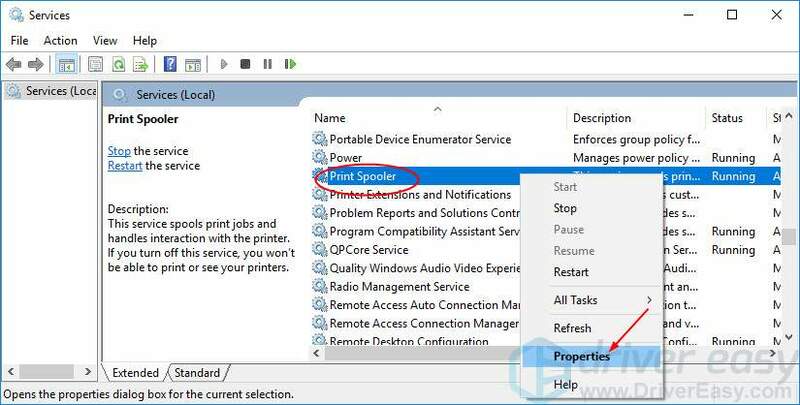 If the print spooler service isn’t set to automatic, it won’t turn on when Windows starts, and your printer won’t work until you manually start the service. 3) Right-click Print Spooler, then click Properties. 4) Make sure Startup type is set to Automatic, then click Apply > OK.
5) Check to see if your printer works. 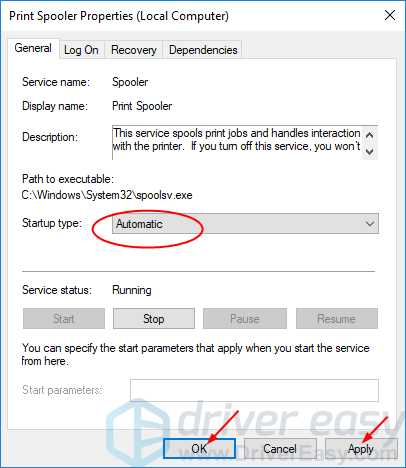 If your print spooler recovery settings are incorrect, your print spooler won’t automatically restart if it fails for some reason. 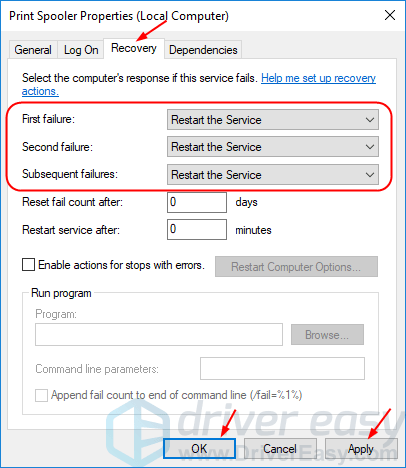 4) Click Recovery, ensure all three failure fields are set to Restart the Service and click Apply > OK. If your pending print jobs are not few, they can cause your print spooler to stop. 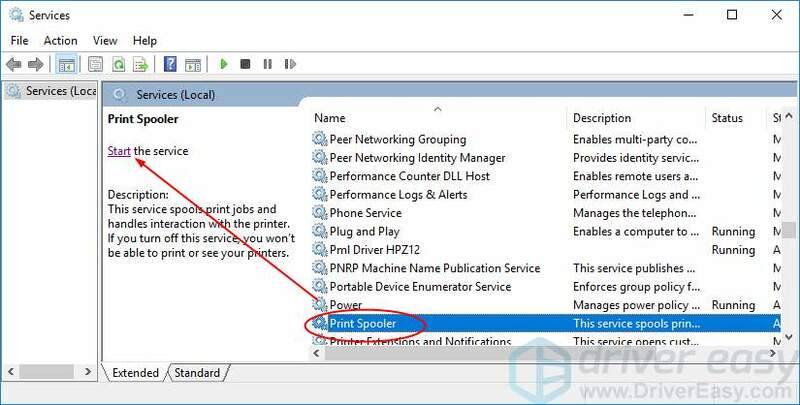 Deleting your print spooler files to clear pending print jobs sometimes resolve the problem. 3) Click Print Spooler, then Stop. 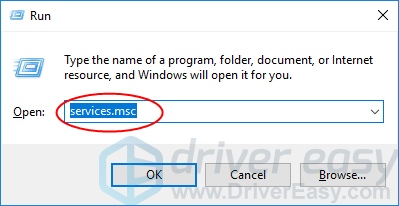 5) On your keyboard, press the Windows logo key and E at the same time to open Windows File Explorer. If you’re prompted about permission, click Continue. 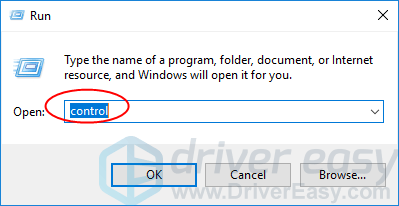 8) On your keyboard, press the Windows logo key and R at the same time to invoke the Run box. 10) On the open window, choose to view by Catalog. Then click View devices and printers. 13) Click on Print Spooler then Start. 16) Check to see if your printer works. This error may also be caused by an old or incorrect printer driver. 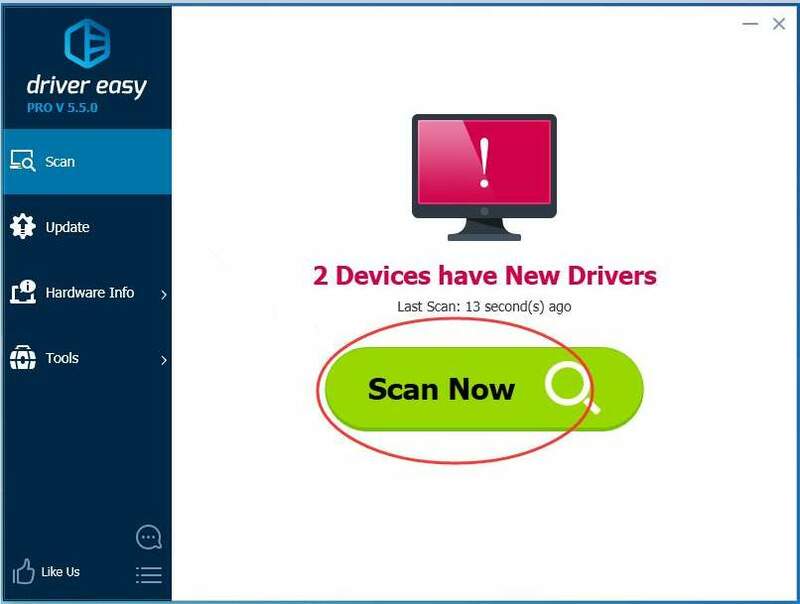 You can update your printer driver manually or, if you’re not confident playing around with drivers, you can do it automatically with Driver Easy. 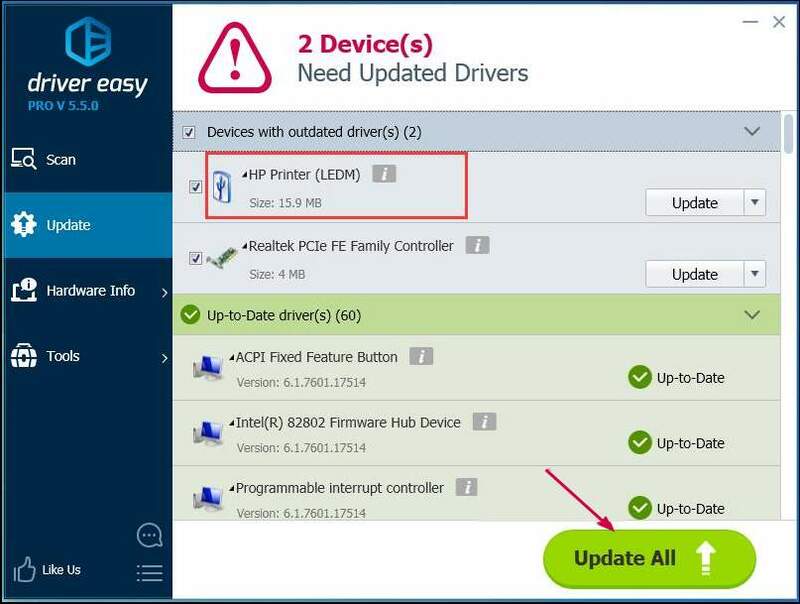 After you update your printer driver, restart your PC and check if your printer works. Hopefully your printer is now working. Please feel free to leave a comment below if you have any problems.